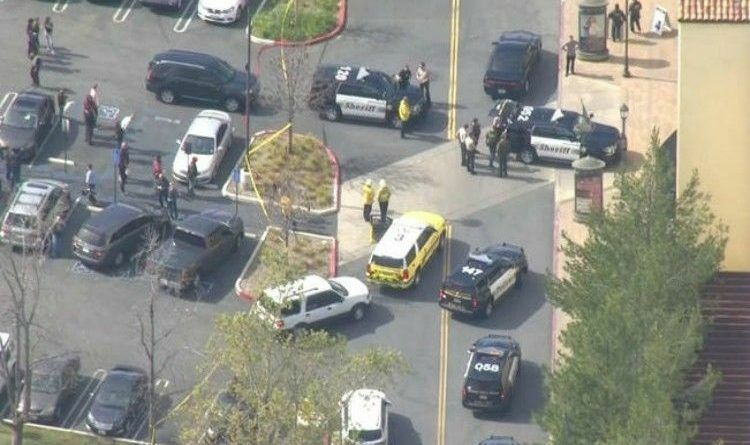 On Saturday afternoon the Ventura County Sheriff’s Department responded to a reported shooting at the Oaks Shopping Center in Thousand Oaks where local media reported there is one person was killed and another person was transported to a hospital. The Ventura County Fire Department is assisting the Ventura County Sheriff’s Department at the shopping mall. “The incident is static,” the Ventura County Fire Department tweeted shortly after 3 p.m. Shoppers were advised they could seek safety at the VCFD Fire station 30 across the street. The newspaper also said that at 3:13 p.m., police said the situation was contained and there was no further danger to the public. This is so sad and sickening and has to stop. A number of police officers from the Thousand Oaks Police Department are on the scene, at Oaks Shopping Center. TOaks Police are on the scene of a shooting at the Oaks Mall. The situation is contained and there is no threat to the public. Let’s pray and hope that this situation will be resolved as quickly as possible! Hope the shooter will be found quickly.